I will give you one more example of fairness of gambling on crypto websites. One of the most fair websites in crypto world is TronWin.io where winning numbers are collected totally independently of website. The system is taking hash directly from TRX blockchain and converting in numbers that you can bet on. It takes last number from the hash and you can bet if that number is big or small, odd or even, or exact number guess. No lies, no scamming… Everything is totally transparent. One more important thing with gambling on crypto websites is that mostly you don’t have to “upload” total amount of money to website that you are planning to spend. 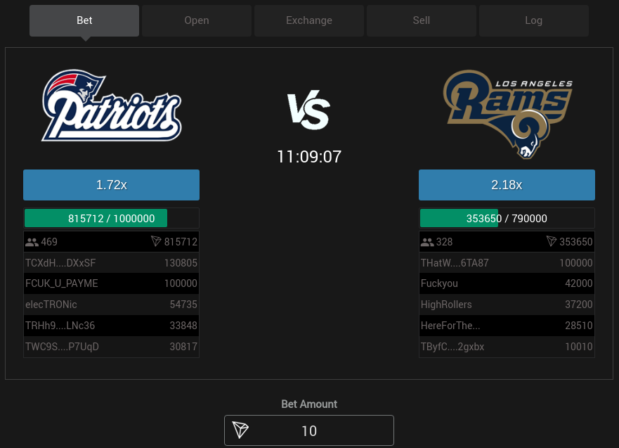 You are placing your bets directly from your wallet and you getting gains directly back to your wallet, for every bet separately. So, why wouldn’t you move to crypto gambling website? You can’t lose nothing more (or less) than on standard website. You just can get more from it (dividends) and you can trust more because of transparency of blockchain technology.